Used by the instructors in the scope of professional training the e-Learning can replace the traditional classroom course or it can be delivered as a supplement for pre- or post-course learning. If you wish to adoptthe e-Learning we would be glad to offer you high quality online training courses fully customized according to your specific needs and requirements. 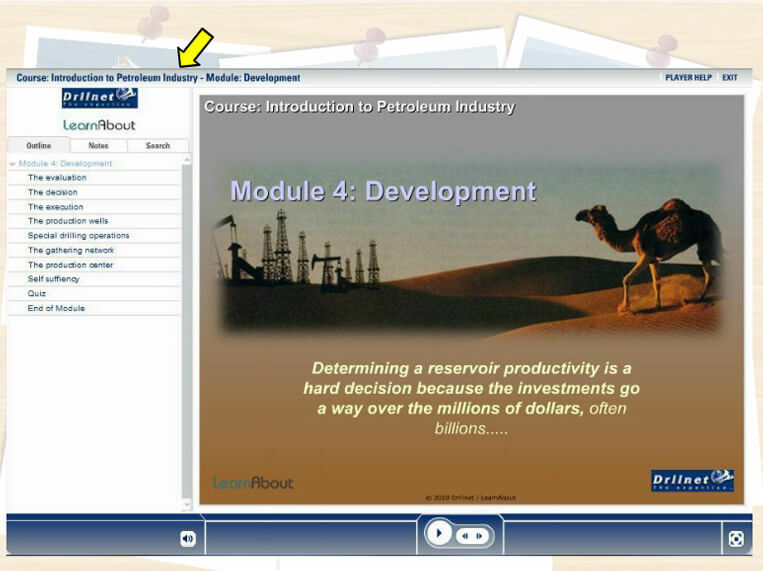 The e-Learning is the most economical and convenient way to train your remote and incoming employees. Used by the human resources department in the scope of recruitment the e-Learning enables employees to be trained before or immediately post-hire from the privacy of their own home.The e-Learning allows a new employee to discover the company’s activity, rules and procedures and makes his integration easier. 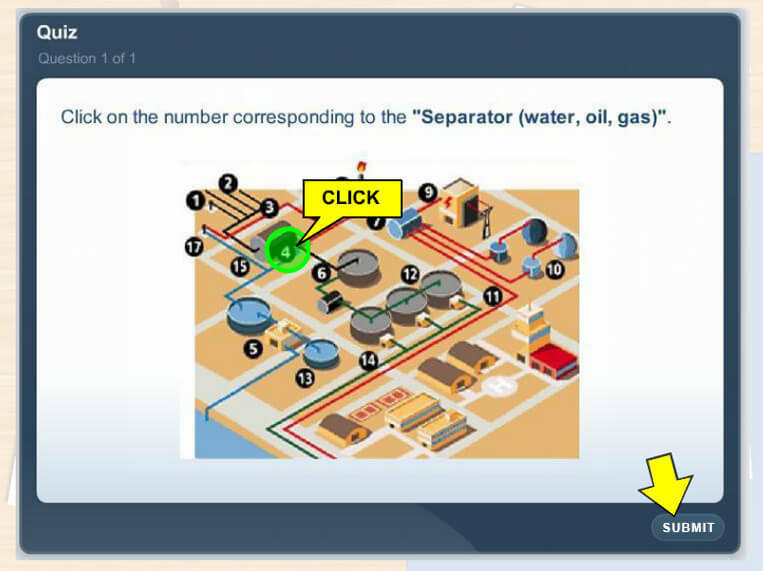 The instructor-led training Introduction to Petroleum Industry (IPI), that we currently deliver, represents an example of online course that can be offered by means of the LMS. This training is available for corporate and individual subscription. It is designed for beginners, a wide range of personnel working with or within the petroleum industry, to allow them to discover the oil environment and to offer general knowledge of the field. 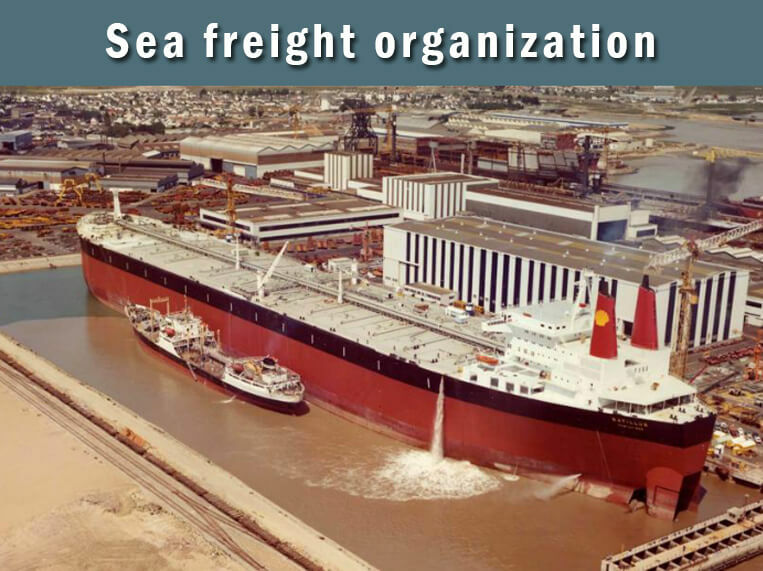 This goal is achieved through a complete training program consisting of 10 learning modules (going from geology and exploration to transportation and trade), several thematic videos, petroleum glossary, quizzes at the end of each module and the final test offering a global assessment. The subject matter expert offers permanent and reactive assistance via e-mail and dedicated forum. This online course delivered throughout 30 days session corresponds to DRILNET’s 32-hour classroom training. The e-Assessment is an amazing solution which enables educators and trainers to schedule, deliver, and report on surveys, quizzes, tests and exam. It is becoming widely used thanks to its numerous advantages over the paper-based assessment. during the periods between two training sessions – to update the knowledge in order to maintain the required competence. If you would like to use the e-Assessment in your training program we can provide you with this break-through solution via our e-learning platform. The pre-training tests are of a particular interest as they enable the trainees to get into groups by level and to optimize in this way the investment. The pre-training test we currently offer through the LMS is designed for drilling engineers and must be taken before starting the drilling engineering and drilling programs training course. The e-Docs represent the classroom courses learning material (ppt, pdf, docs, videos, tests) integrated and made available through the e-learning platform to protect it from amending and stealing. Should you need to submit your documents to various trainers in a secure manner – we would be pleased to help you by converting them to SCORM and managing them according to your requirements. The e-Coaching is a turnkey solution that supports the performance and development needs of staff members wherever they are and whenever they have them. Whether you need electronic coaching, live coaching, or a combination of both, we provide the solution that is just right for your organization. Our experienced, qualified and competent subject matter experts will permanently assist your workers to ensure their performance excellence. 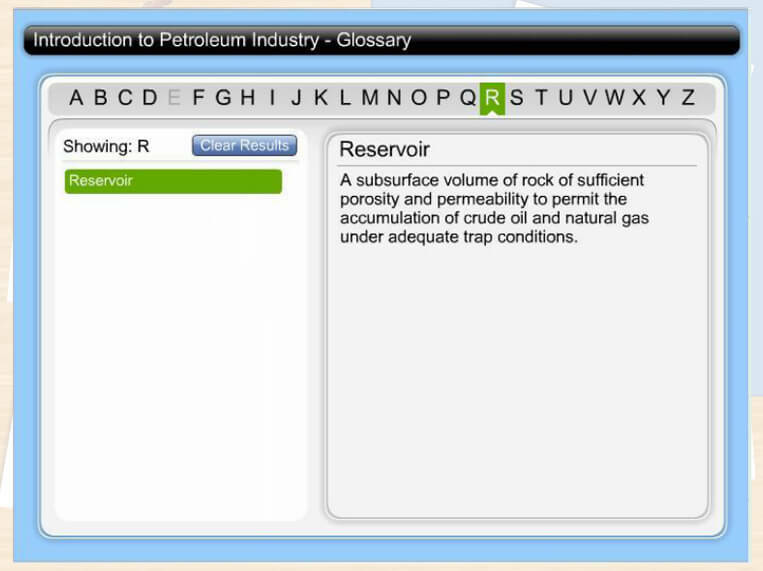 Start the DEMO Course Introduction to Petroleum Industry!